Come and join the day for dog lovers in Aberdeenshire. 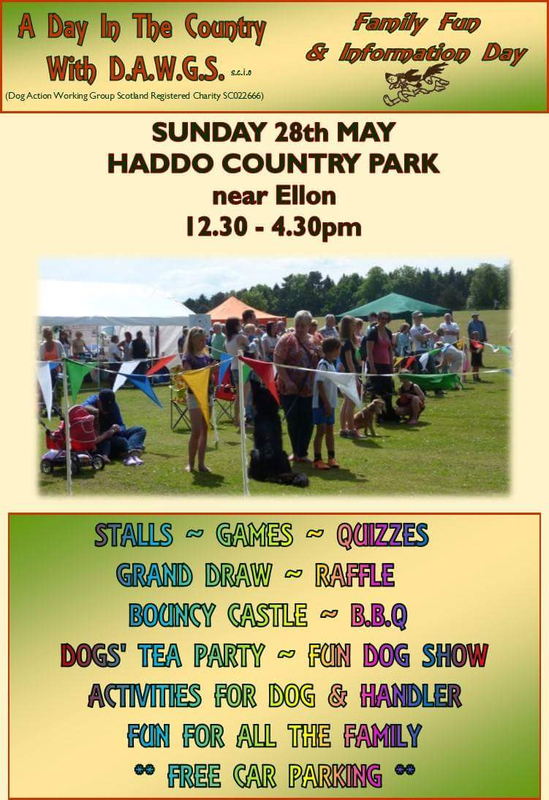 DAWGS, the canine charity are holding their ‘Day in the Country’ at Haddo Country Park on Sunday 28th May. Shows and events for everyone with childrens activities as well.